Dressing: olive oil, red grape vinegar, salt, pepper, finely shredded fresh mint, dried oregano leaves, mustard powder, mustard, teaspoon honey ---shake well in a jar and leave to percolate and infuse for at least 2 hours. Dice some tomatoes, cucumbers, carrots, colored bell pepper, and raddish into small cubes. Add the to the leafy vegetables. Add some pomegranate seeds and a can of sweet corn. mix the ingredients well together and add the juice of ½ lemon. This is one of my favorite recipes. It is a light dish thta goes well with BBQ or can be full meal on its own account. 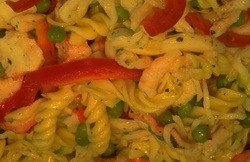 · Stir fry the vegetables in olive oil , add mustard, salt and pepper to taste. When done, leave to cool. · Boil macaroni al dente. Drain and add dressing while still hot (olive oil, mustard, salt and pepper). Leave to cool. 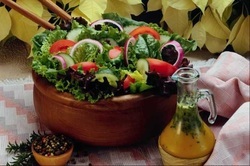 · Dilute the mayonnaise with some olive oil, mix with the salad. Adjust seasonning. N.B. Prepare at least 1 hour prior serving to give it time to develop its full flavor. Boil potatoes, cut in cubes, add half the dressing (olive oil, mustard, salt and pepper) then leave to cool, add parsley and spring onions (the green leaves only), add mayonnaise to the rest of the dressing then mix all together. - prick the pototo with a fork in 2 or 3 places, wrap each potato separately in aluminium foil and put in hot oven for 20 to 30 minutes till cooked. 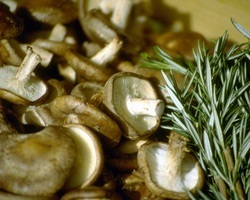 - sautee leeks in olive oil and/or butter, add garlic, celery and mushroom. add salt and pepper to taste. Sautee till tender. 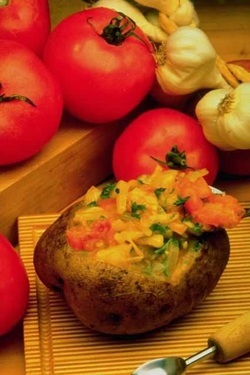 - cut a + shape in the potato, divide the herbs and mushroom mix between the 2 potatoes and mix them with the potato core without losing the whole shape of the skin. 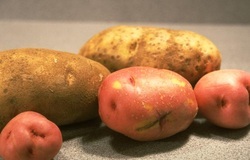 - rewrap the potatoes in the foil and put back in the hot oven (do not turn on the oven) until serving time. 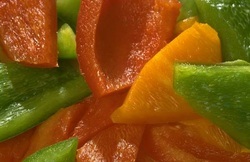 - just before serving, unwrap the foil and garnish the surface with freshly cut tomato cubes. Cook rice, add dressing (olive oil, mustard, salt and pepper) while still hot, leave to cool. cut Smoked salmon, crab meat, capers, sun dried tomatoes, colored pepper, baby corn, lettuce. Add them to the cooled rice and mix well.